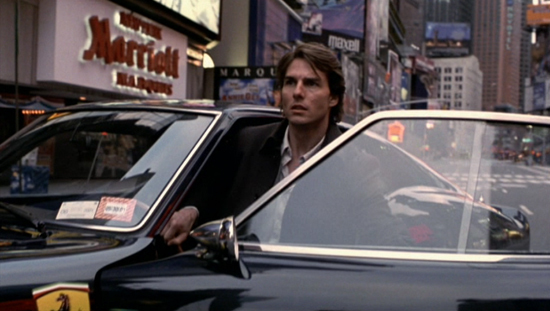 Pay closer attention to the opening sequence in Vanilla Sky, where Tom Cruise's then-unidentified character speeds through Times Square -- both on foot and in a gorgeous Ferrari -- without a soul in sight. The dreamlike nature of the scene isn't easily overlooked, of course, but there's more underneath and beyond the surface than seen at first blush, revealed in whispered voices and quick flashes as he hysterically spins at the heart of New York City. It's a hell of a thing to start a narrative with false bearings on reality like this, later revealed to be the first musings that David Aames has divulged to his psychological evaluator, Dr. McCabe (Kurt Russell), before the start of a murder case. So begins Cameron Crowe's reverent remake of Alejandro Amenabar's Abre Los Ojos, one whose attention to style and emotion justifies its existence while smartly expanding on the mentality of the man in question. What results is a provocative descent into unreturned desire, authentic love, and the power of the subconscious. Not to give it excuses or anything, but Vanilla Sky didn't really have it easy in the year of its release. On top of being a Hollywood remake of the critically-acclaimed Spanish film, it also had to contend with the debut of Lynch's Mulholland Drive and the wider distribution of Nolan's Memento -- both of which generated buzz by accomplishing similar things in superior ways -- earlier that year. Therefore, the field was crowded in the psycho-puzzle subgenre, and the twisted story of David Aames' conflict of romantic pursuits and amnesiac murder mystery wasn't, in a literal sense, anything new. Crowe tweaks the narrative, though, by emphasizing the protagonist's legacy as the heir to a publishing empire, accentuating his recklessness with the business end of things and a general self-awareness of the tools at his disposal: charisma, wealth, and appearance. That makes it all the more intriguing to watch his casual tryst with clingy actress Julie Gianni (Cameron Diaz) evolve beyond his control, and to see it all deconstructed by a beautiful but comparatively commonplace dancer, Sofia (Penelope Cruz), who immediately steals his heart. 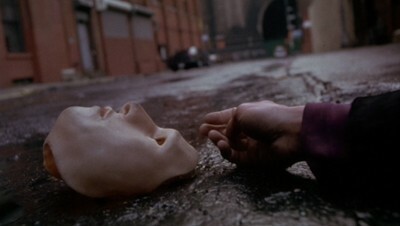 Having Tom Cruise in the central role adds a degree of meta-context to Vanilla Sky, whose pop-culture stature merges with David's grasp on vanity and mortality. Already displaying a versatile dramatic side in Jerry Maguire and Magnolia, Cruise admirably embraces the understated commentary on his persona through his character's carefree place of power and his thorny relationship with his father, with his easy charm and building anxiety driven by writer/director Crowe's good-natured style of human interaction. An immediate spark ignites between his character and Sofia within, unsurprisingly, a cluttered celebration of the greatness of David on his birthday, and it stays credible throughout the film due to how Penelope Cruz's down-to-earth wit and allure drags him out of the clouds, shaping into a poignant love story. The standout performance, however, emerges in Cameron Diaz with arguably the best turn of her career (second, perhaps, to Being John Malkovich), encapsulating obsession and one-way affection in a beautiful shell that's both sympathetic and unsettling, the cloud over David's happiness. Infusing ethereal tracks by composer (and wife) Nancy Wilson and Icelandic band Sigur Ros with classic and contemporary melancholy pop songs, director Crowe again uses his musical awareness to heighten the visual and dramatic tempo in Vanilla Sky. Instead of directly enveloping scenes in the feel of a time period or the clear emotional state of a character, however, his musical selection here transports the audience through the complicated space of David Aames' mind, guiding the film in both similar and differing tonal directions to that of Amenabar's original intents. Crowe's attunement to sound mixes intriguingly with the growingly abstract nature of David's telling of the events, embracing an attitude that's somewhere between the earnest warmth of the director's previous pictures and the disappearing grip on reality within David's psychosis. Overt sentimentality does get in the way of establishing a consistent suspenseful mood, but that duality also becomes one of the film's distinguishing attributes as the tone shifts between those margins. Along the way, Cameron Crowe never lets the viewer forget that this is a narrative being spun by an imprisoned man in a latex mask, divulged to an inquisitive psychiatrist as he builds a case for David's mental state surrounding a murder accusation. Paired with the evocative perspective of Braveheart and Almost Famous cinematographer John Toll, surreal cues emerge through the film's visual language that suggest there's more to everything than what we're shown, where little details scattered about -- photographs, drawings, even the mole on someone's body -- begin to play with the perspectives of both David and the audience's trust level in him. It's at this point where Vanilla Sky pulls the curtain back on what it's really about, descending into the pandemonium of nightmares and unreliable narration through warped science-fiction that recalibrates just about everything that's transpired thus far. Crowe doesn't get carried away with it all, either, keeping a firm grip on what's safe to be deduced and not as the film shapeshifts into a psychological thriller. Vanilla Sky tumbles down that rabbit hole in a wild, slyly unsettling climax to the tragic mysteries of David's life, both revealing the truth of what's going on and inviting different interpretations to what it all means through layered clues, more flashes of images and whispers in the distance. It's unsurprising that heavy emotion speaks louder than thematic lucidity in Crowe's ending, the most divergent part of the film from the original; however, the bittersweet nature in how it feeds into the choice between moving on with one's life or perpetuating an illusion says enough. Despite tiptoeing around some rather dark elements, it leaves the audience with a degree of cathartic optimism hanging in the air alongside swelling atmospheric music and painterly surroundings, yet there's also the lingering sensation that everything hasn't been, and won't be, fully answered. Whether repeat viewings will bring that more into focus depends on the viewer, but thankfully experiencing the sweet and sour of David's life is compelling enough to continue doing so anyway. 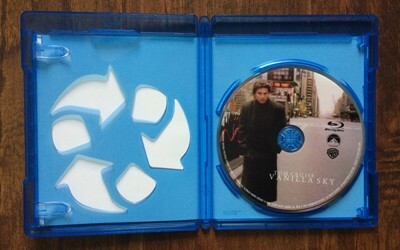 Vanilla Sky frequently deals with the criticism that it's merely a shot-for-shot remake of Abre Los Ojos, a claim that isn't without merit, but director Crowe almost delivered an even closer, tonally complicated reproduction of Amenabar's original with the alternate ending included on this Blu-ray. Through seamless branching and access to the filmmaker's archives, Crowe and Paramount/WB have made this ending viewable as a complete experience here, which incorporates several cut elements that'll be familiar to those who have seen both takes on the story: an impassioned bathroom conversation between David and McCabe about their grasp on reality, a shootout in a populated lobby, and additional exposition and dialogue that intensify the tone of David's moment of choice. Here's the thing: it's a mixed bag in terms of execution, bridging narrative gaps that really don't need bridging and adding some on-the-nose character moments that either accomplish little or weaken established attitudes. The start of the new footage -- occurring around the end of Tilda Swinton's significant role in the film -- will not be mistakable, as the quality of the footage drops drastically to some rough, unfinished presentation of color timing, contrast balance, and sharpness. Both aesthetically and narratively, the alternate ending presents an inferior experience that should be chalked up to a curiosity, a smartly-avoided "what if" where deviation from the original material resulted in a stronger film. At long last, after numerous stalls and pushed-back dates in the process that span all the way to 2013, Vanilla Sky has finally arrived on Blu-ray from Warner Bros. and Paramount. Newly-designed artwork featuring a simple frame of Cruise and Cruz kissing ditches the fragmented grid poster from Paramount's 2002 DVD in pursuit of something more minimalist and sophisticated, which it mostly accomplishes. It's nice to see full-color disc artwork featuring Tom Cruise on the streets of New York as well, something that both WB and Paramount have largely phased out over the years. 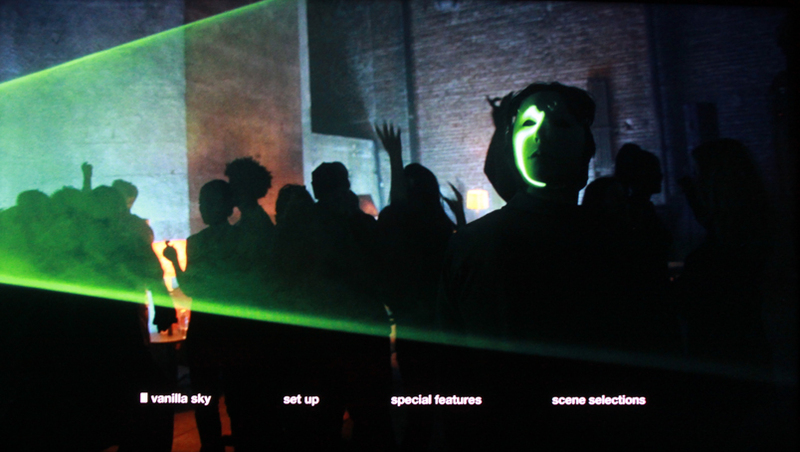 The sleek, soundless, equally minimal menu design uses a unique shot of the nightclub sequence to get the mood started; unfortunately, the music Cameron Crowe asked Nancy Wilson to compose for the previous DVD menu isn't included. Scour the internet a bit and you'll find Vanilla Sky on at least a few "Most Anticipated" Blu-ray lists, mostly because of the beauty present in its cinematic style but also because of the rumored HD-DVD release that disappeared into the ether. In short, expectations were there for Cameron Crowe's film to be an eye-opener in HD, but that never truly materializes in this serviceable 1.78:1-framed, 1080p AVC transfer. When compared to Paramount's competent DVD from more than a decade back, it takes a few notable yet meager steps ahead in terms of general clarity, depth, and stability of the image, emphasized in clothing and strands of hair during interior close-ups and in the overhead shots of New York. The warmth of skin tones, the strength of vivid lights in a night club, and the pastel shades in skies are striking, yet appropriate with the temperature of each scene. What's disappointing is the general haziness of the picture from start to finish: lacking fine detail, hiding within unruly noise, and struggling with mediocre contrast balance that detracts from more satisfying depth. Despite being a clean print and a wholly watchable uptick over the standard-definition release, it leaves something to be desired considering its age and the longevity of the format. Thankfully, Vanilla Sky hits relatively hard on the other side of what makes Cameron Crowe's films a delight to watch, with a 5.1 DTS-HD Master Audio treatment that embraces the euphoric beats of his track selection and the slick, eerie sonic touches coursing through its veins. Strategically picked tunes from REM, Radiohead, and Peter Gabriel drive the film with consistently moody rhythms and unique percussion/ambient elements, to which the thumps of the beats and the weight of strummed guitars and electronic atmosphere command a balanced but strong presence against everything else. Dialogue, whether it's in conversation or through David's narration from underneath the mask, stays natural and well-positioned in the mix, while subtler sound elements -- a dropped glass of iced Jack and Coke, the peeling of latex flaps from skin, the ding of an elevator -- are crystal clear and aware of their place. Stronger sonic punches aren't frequent, aside from a crashing car, but there's a lot of big mid-range attitude in the track that's crystal clear and free of distortion (unless it's intended by Crowe). Subtitles are available in English, French, and Spanish. 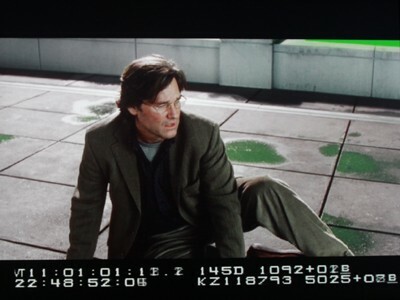 As mentioned above, Cameron Crowe and his team reached into the archives for additional material relevant to Vanilla Sky amid the delayed Blu-ray release, but they didn't stop with the alternate ending. In similarly rough quality (but still widescreen-enhanced, thankfully), they've also included over twenty minutes of intriguing Deleted Scenes (23:19, 16x9 HD) spanning throughout the film. Some involve alternate takes that fill narrative gaps, such as how Julie Gianni ended up groping a bartender at the party and how the idea for David and Sofia to draw each other's shortcomings emerges, while others delve into unaddressed parts of Dr. McCabe's character and his suspicions. Similar to the alternate ending, these scene do actually accomplish things in the story, but they're largely unnecessary and the delivery monkeys around with their characters (and, in the case of McCabe knowing the age of his daughters, introduce problems). Also new to the Blu-ray: a Mask Test (3:24, 16x9 HD) reveals a number of designs that were considered for David's "prosthetic shield", many of which were more realistic and creepy; and a Kurt Russell Long Take (6:10, 4x3 Letterbox), involving a deleted moment from the ending featuring the actor surrounded by green screens. All new extras are available with commentary from Cameron Crowe. Crowe didn't record a full new commentary track for the film itself, but the ported Audio Commentary with Cameron Crowe and Nancy Wilson still largely gets the job done. The pair take the idea of a "casual discussion" to another level, perhaps a bit too much at times, featuring impromptu calls to cast/crew members, interruptions from their kids, and rather general musings about the tone of the film itself while Wilson plays the guitar in the background. Of course, that's not to say that the track doesn't contain strong insights: director Crowe touches on the validity of certain interpretations, the work of set designer -- and Twilight director! -- Catherine Hardwicke, transforming exterior shots in New York, the connection of colors between Diaz' eyes and her character's car, and the polarized response to test screenings. A nice surprise comes in Tom Cruise making a phone-call cameo in the track to discuss the club scene, revealing his enthusiasm for elements of his performance and the free-form nature of the "cat" line of dialogue. There is something new here, though, with the added alternate ending viewing experience: once the different content kicks into gear, thirty minutes of fresh commentary from Cameron Crowe enters the picture, including anecdotes about both Kurt Russell and Michael Shannon being kept on-set to shoot this ending, the "punk rock" attitude of this version, the things Crowe prefers from this one and the interpretive nature of the movie. 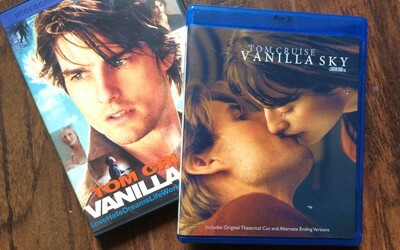 Everything else included with Vanilla Sky derives from the collection of workable features from the DVD. Prelude to a Dream (6:15, 4x3) takes a brief but illuminating look at behind-the-scenes footage of rehearsals and production design, while Hitting It Hard (10:16, 4x3 HD) takes the traditional "press tour" featurette in interesting directions by throwing tough questions -- about the copied nature of the film and the various interpretations -- in to the mix. Warner Brothers have also included An Interview with Paul McCartney (1:36, 4x3) from Entertainment Tonight about his Golden Globe-nominated track, a neat Gag Reel (5:30, 4x3 Letterbox), a Music Video for "Africa Shox" (3:59, 4x3), a Photo Gallery with Audio Introduction by Photographer Neal Preston (2:51, HD), and both the Unreleased Teaser Trailer (1:43, 4x3 Letterbox) and the International Trailer (2:51, 4x3 Letterbox). Hard to imagine anything else that could be added, to be honest, save a retrospective with the cast and crew. Cameron Crowe and the folks at Paramount and Warner Bros. were being real pleasure delayers with the Blu-ray release of Vanilla Sky. Was it worth the wait? Mostly, yeah, but not for the reason one immediately associates with the format. Crowe refers to this Tom Cruise vehicle as his "cover" of Alejandro Amenabar's Abre Los Ojos, which fits really well as a description: it says most of the same things through similar lyrics, but adds new beats, tones, and impressions to make it his own and encapsulate a specific mood. Coupled with divine aesthetics and earnest performances, the film becomes a beautifully-concocted collage of romance, psychological thriller, and science-fiction, settling into a satisfyingly unique middle-ground between the comfort zone of Crowe's signature emotionality and the uncharted waters of unsettling, intricate surrealism ... and it really only gets better with repeat viewings (and playful interpretation of what's going on). A substantial sonic presentation and a cornucopia of both new and old features, including an alternate ending and delightful deleted scenes, soften the blow of the visual transfer's lack of impressive fidelity, still earning this budget-conscious disc a High Recommendation from this reviewer with a soft spot for the film.